The reception desk at Harbourside City Backpackers operates from 8am until 9pm every day, and our team is always happy to help with any questions or concerns. 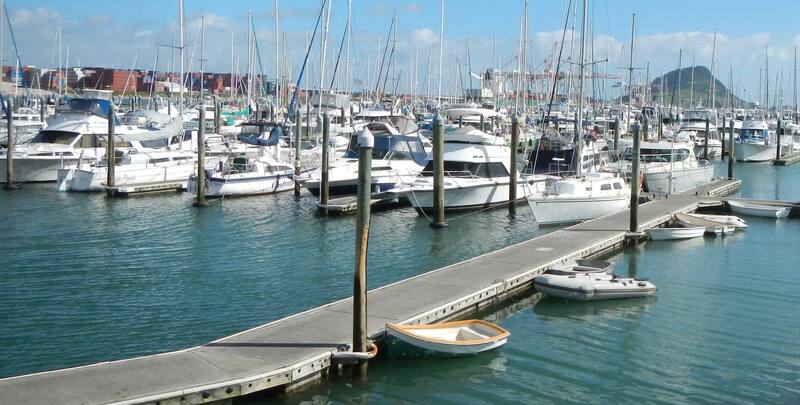 We can advise and book you on the best activities and attractions in the Bay of Plenty. From swimming with dolphins and Hobbiton tours to Tauranga's first escape room and Surf lessons in the Mount. We can book your bus tickets for the Naked/Manu bus and Intercity bus throughout New Zealand, and the interlslander ferry. Also we offer FREE assistance with seasonal work if you are looking to stay for a longer period of time. Check-in time is from 2PM daily and guests must be checked out or extend by 10AM at the end of their stay. Early check-ins, late check-outs and after hour arrivals can be arranged on request. We have a large kitchen with space for everyone. The kitchen is equipped with two gas cook-tops with each six hobs. All the utensils you could need are there, along with an oven, microwave, fridges and freezers, toasters and plenty of storage space for your food. You can enjoy your meal inside at one of the many tables or you can have it outside on our large Macrocarper tables on the huge balcony with amazing views across the harbour. It's a great place to enjoy your meal in peace or to meet other travelers. For those who have their breakfast at the crack of dawn, you will be treated with stunning sunrises! We have FREE WIFI! As we are located in one of the historic buildings in Tauranga, we deal with a huge amount of concrete walls. Therefore wifi is only available to certain parts parts of the hostel. This also depends on the type of phone and provider you have. However, the wifi is for free and it's unlimited. Not traveling with a mobile device? No problem! We also have a computer with internet available for our guests to use for free between 8AM and 9PM. As we do not have on site parking, you will have to park your car at one of the car parks. There is a large public carpark right out the front of our hostel for $5,50 all day and it is FREE after 3pm and on weekends. (Locked after 11.30pm on a Thurs/Fri/Sat night). Just a bit more further up the road you will find Dive Cres car park, this is only $3,50 for the day. All other parking spots in town are pay and display per hour. Please ask reception about the FREE parking places in Tauranga when you arrive. As we are very central located, it is very easy to move yourself in and around town. If you would like to visit the beach or our sister hostel Pacific Coast Lodge. you can take the local bus around the corner from the information center. If you want to travel outside the Bay of Plenty, we can easily book you bus tickets for the Naked/Manu bus and the Intercity bus. Tauranga is a great city to explore by bicycle. We offer our guests FREE use of our bicycles during their stay at Harbourside City Backpackers. Just ask reception during your check-in. Being out and about all day can be exhausting! Luckily we have some very comfortable sofa's in our guest lounge for you to relax on. It is a great place to meet other people, play one of many board/card games or to read a book. If you're not in a very social mood we also have a small TV room with loads of DVD's for you to choose from. We have a laundry room with multiple washing and drying machines for our guests to use. At the sunny backside of the hostel we have washing lines where guests can dry their clothes as well. We sell washing powder at reception and also an iron and iron board for your use. We have 24 hour surveillance cameras in and outside the hostel and after 9pm we have a night warden on site. For your personal belongings there are lockers inside the rooms, you can bring your own padlock, otherwise we sell them at reception. If you'd like it is also possible to store your valuables in our safe free of charge.